Susan Vreeland is the" New York Times" bestselling author of five books, including "Luncheon of the Boating Party, Life Studies, The Passion of Artemisia, The Forest Lover, " and" Girl in Hyacinth Blue." She lives in San Diego. 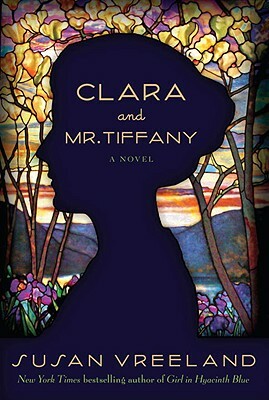 "As sparkling and alluring as the lost story of the woman who created the famed Tiffany glass lamps, Clara and Mr. Tiffany is a masterpiece of a novel. In it fin de siècle New York jumps to life in all its gaudy and heartbreaking grandeur and opportunities. As much a character study of a city and a time as of a woman, Susan Vreeland shows us the new technology that enabled people to craft the magnificent lamps so sought after today, and the artist’s eye of Clara Driscoll that brought them to perfection."